CGPSC Notification 2019.Chhattisgarh Public Service Commission (CGPSC) in the Higher Education Department has released a notification for the recruitment of Assistant Professor vacancies in Information Technology, Forestry , Sanskrit, Bighi, Zoology, Geography, Taser technology etc subjects.Check the eligiblity and notification prior to apply for the positions. Last Date for Submission of Application is on March 05th, 2019. Post graduate degree holders with 55% marks can apply. 21 years is the lower age limit to register and 30 is the upper age limit. Age relaxation is as per department norms. In between monthly income of Rs.15600-39100/- and Grade pay of Rs.6000/- selected candidates will get. Through written test followed interview contenders will be selected. 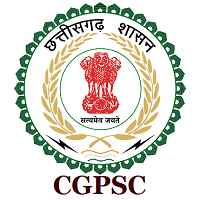 Through online mode from 04th February 2019 to 05th March 2019 the online portal link will be active for CGPSC Assistant Professors Notification 2019.http://www.psc.cg.gov.in/online-application is the link to apply online.